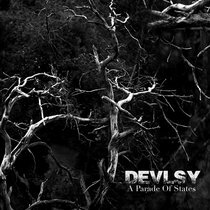 Devlsy is a pretty exciting pure and wonderfully evil black metal band from the darkest forests of Lithuania. Yet, these guys are more than just a black metal band, they unabashedly bring in some interesting shoegaze and post-black metal ideas to keep things fresh and exciting. Devlsy have a clear understanding of their creative direction in a world where so many bands simply try to copy their peers. Their is a beautiful guttural destruction to some of these tracks, the harsh cries in songs like You Again speak to something older and grander than ourselves, a way forward, or maybe just a way out. Digging into Devlsy is an enlightening experience because it allows us to find out more about ourselves, touching on darker themes that so many have left behind. Compositionally these guys are tight and keep listener interest, contrasting dark and light in a tasteful way. As a whole this is the sort of group you dig in too and never wholly forget, once you've been exposed to the depth of the sound, their is no true escape.